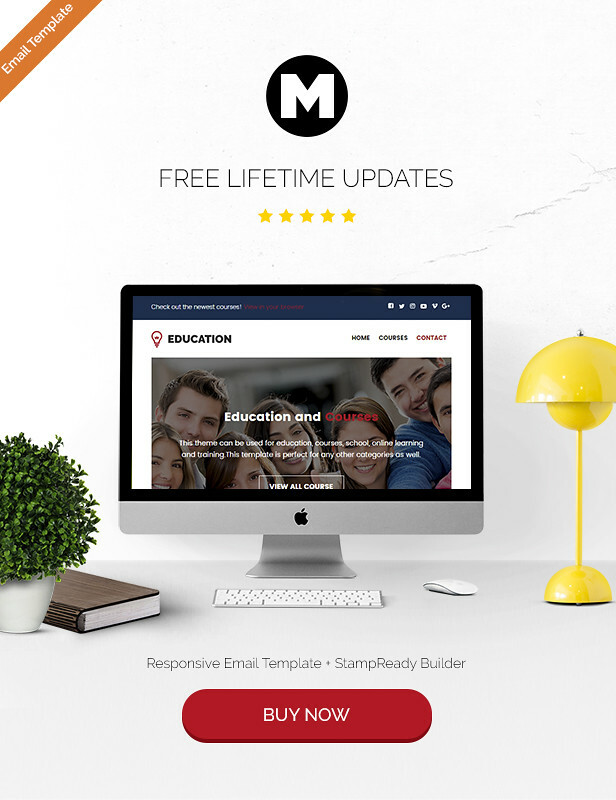 This responsive Education email template is best suitable for education, courses, business school website, agency, books, internet, design websites, science, charity, corporate websites and portfolio. It’s also can be used for any type of email template. It is a clean and modern email template. 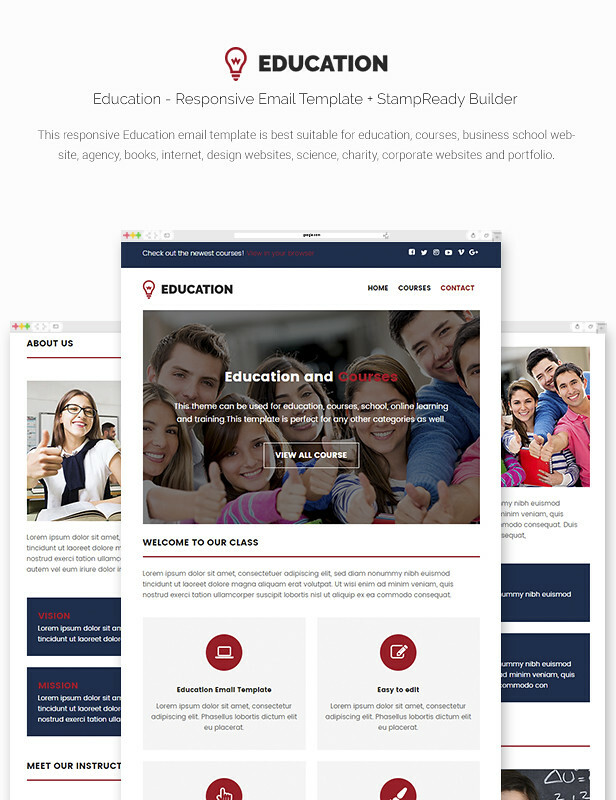 Education email template is responsive, with this template your site is best on every device. It’s build for stamp ready and it’s also can use with MailChimp, campaign monitor and html. You can edit each and every part of this email template according to your needs.